MIRA USA is a national non-profit organization dedicated to enhancing independence and quality of life for blind children. 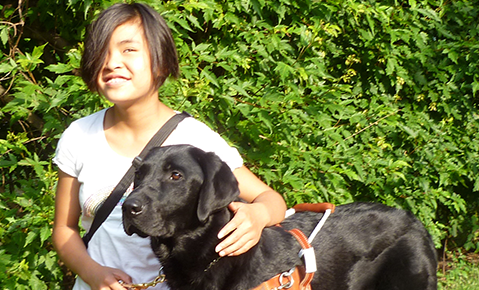 As the first organization in the United States that provides guide dogs for eligible children between the ages of 11 and 16, we provide intensive training for the child with the dog, and a wide array of related support services for these youngsters and their families. We provide these services free of charge. In addition we provide targeted educational outreach to promote public awareness. MIRA USA was co-founded in 2009 by Robert and Elaine Baillie, and Guy Bouvier, following Bob’s total vision loss due to complications of heart by-pass surgery. As one would expect, Bob recalls thinking his life was over at age sixty four. He found efforts with a cane extraordinarily difficult and inadequate. At the suggestion of his close friends, Guy and Francine Bouvier, Bob began to investigate the option of obtaining a guide dog. This led him to MIRA Canada, a decision that would change his life and the lives of others. MIRA Canada is a globally respected non-profit organization founded by Eric St Pierre, that has been training guide dogs and the blind individuals who will partner with these magnificent canines for over thirty years. 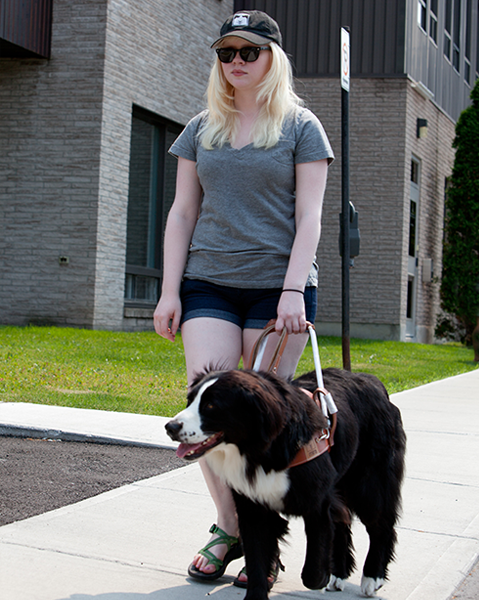 Attending the intensive thirty-day training program with his new guide dog, Bob discovered the effectiveness of MIRA Canada’s approach. 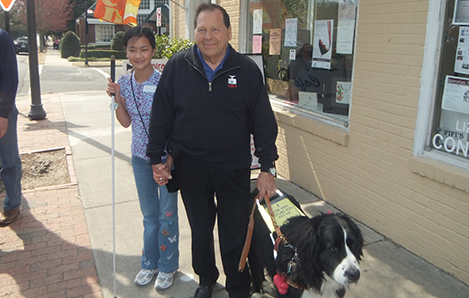 Given the profound impact of his newly found freedom and self-reliance that his guide dog provided, Bob was surprised to learn that guide dogs were unavailable to anyone under the age of seventeen in the United States. 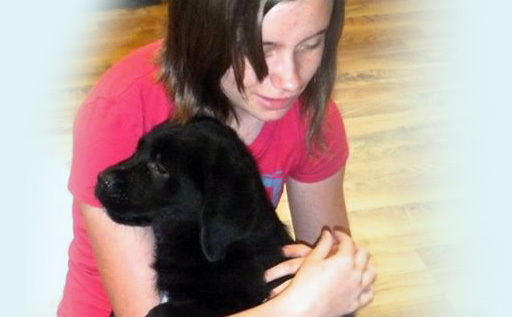 MIRA Canada was the only program in the world that paired guide dogs with children aged 11-17 and has been doing so for over twenty four years. That was until MIRA USA was founded. Forming an official partnership between MIRA Canada and MIRA USA, enables us to work together to expand guide dog services for children here in the United States. Working together but as legally separate entities, we are dedicated to expanding the availability of guide dogs for this underserved population. Based in North Carolina, MIRA USA accepts program applicants from any part of the contiguous United States and provides our guide dogs free of charge to eligible children. While we rely on MIRA Canada’s breeding and training expertise, MIRA USA bears full responsibility for all related expenses for our children as well as coordination of the selection process and the logistics involved. MIRA USA began direct services in 2010 and as of 2016 has provided twenty-two MIRA guide dogs to blind students across the US. As the first program of its kind in the United States, MIRA USA is clearly unique. Our impact will substantially increase over time as we work to provide guide dogs to as many of the 60,000 blind children as possible. MIRA USA along with the Board of Directors, is committed to the idea that no child who qualifies for a guide dog should have to wait to maximize their independence and opportunities in life! MIRA FOUNDATION USA, INC. is a 501C(3) not-for-profit corporation tax id # 26-3603779, governed by a Board of Directors.